What Makes Lawson’s Role Unique? The Reverend Dr. James M. Lawson, Jr. grasped faster than almost any other American practitioner the compatibility of the lessons from Gandhi’s struggles and the types of campaigns of civil resistance that were and are necessary in the United States. The 1955–56 Montgomery bus boycott had an impact that was South-wide, as black onlookers who observed the 361-day successful Alabama campaign concluded that nonviolent direct action could work. In Nashville, a group of clergy and laity judged that what had occurred in Montgomery was the most momentous advance for African Americans since the Civil War and the 1863 Emancipation Proclamation to free the slaves, and that it must be repeated. As Lawson describes it, they determined that such achievements should be undertaken again in Nashville, then elsewhere, and still again and again. In 1957, the Reverend Martin Luther King, Jr. brought Lawson south. A black Methodist minister and conscientious objector in the Korean war, Lawson was sentenced to three years in federal prisons in West Virginia and Kentucky. He served 13 months of the original sentence (April 1951–May 1952), before the United Methodist Church persuaded a federal court to release him to its Board of Missions, which sent him to teach in India. Even before leaving for India he judged that it was possible for a massive nonviolent revolution to be staged in the U.S. South, where, he said, segregation “is much like the ‘untouchables’ of India.” By April 1953, he arrived at the crossroads of India, barely four years after Gandhi’s assassination in 1948. There he spent three years teaching at Hislop College in Nagpur in Maharashtra, while also traveling to meet individuals who had worked alongside Gandhi in various struggles, thereby gaining practical knowledge from firsthand participants while visiting sites of action. He was not the first or only one to grasp the applicability of the Indian struggles to the American context, but he was the most logical in methodically applying its lessons to the U.S. experience. After returning to the United States, Lawson encountered King at Oberlin College, Ohio, where he was studying, and where King was speaking. They were both twenty-eight years of age. King exclaimed, “Don’t wait! Come now! You’re badly needed. We don’t have anyone like you!” King was referring to Lawson’s knowledge of nonviolent action as an approach to fighting for justice. Becoming southern field secretary for the Fellowship of Reconciliation (FOR), by January 1958, Lawson was based in Nashville. The local movement had started a nonviolent direct-action campaign against racial discrimination in downtown stores and restaurants, with several test cases, including small sit-ins for practice and role-play. Lawson discovered that FOR had arranged for him to run a full schedule of workshops. As the representative of FOR in Nashville, by autumn 1959 Lawson had begun systematically introducing local clergy and student leaders to the theories and methods that he had analyzed in India, in workshops that are among the prototypes for the James Lawson Institute. By autumn 1959, Lawson was running weekly workshops to prepare students from all the city’s institutions of higher learning. This interracial group of students became the heart of the Nashville movement. Weekly, they worked together on a profound interpretation of what it means to take nonviolent action, with Lawson guiding analysis and discussions on strategy and nonviolent discipline. The workshops lasted for several months before Lawson received a telephone call from Greensboro, North Carolina. It was February 1, 1960, and four black students at North Carolina Agricultural and Technical State University in Greensboro had sat down at a “whites only” Woolworth’s lunch counter and asked to be served. When told to leave, they stayed. They did not know the name of their action or that their “sit-in” was among the most disruptive of hundreds of nonviolent methods identified throughout human history. With that phone call, 75 well-prepared Nashville students moved into formation. They became the largest, most disciplined, and influential of the campaigns that would become the 1960 southern student sit-in movement. Its leaders included Diane Nash, from the black community in Chicago, and John Lewis, later (and still) a member of the U.S. Congress from Georgia for three decades. Within two months, student sit-ins were blazing across the South (except Mississippi) in 75 cities, with thousands of students participating. The separate campaigns appeared harmonized and ubiquitous. Television news broadcast the students facing burning cigarettes ground into their arms, ketchup and mustard being poured on their heads, chewing gum stuck in their hair, spittle, insults, punches hurled at them, and being knocked off stools. Remaining strictly nonviolent, when arrested many went limp in total noncooperation. On Easter weekend 1960, sit-in leaders gathered from all the southern sit-in campaigns at Shaw University, Raleigh, North Carolina. Deciding that they needed, literally, a committee to coordinate, they formed the Student Nonviolent Coordinating Committee (SNCC), pronounced snick. The Nashville group arrived in three station wagons. 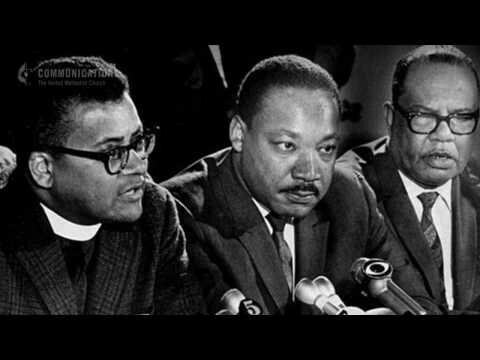 Lawson was asked to chair a committee to draft a statement of purpose for what was now the second southern civil rights organization to come into being, after the Southern Christian Leadership Conference (SCLC) established by Dr. King following the Montgomery bus boycott. Lawson coordinated three drafts. He would become SNCC’s primary tutor of the technique of nonviolent action, while continuing to advise Dr. King and the SCLC, where he ran workshops on nonviolent civil resistance at every meeting for as long as King lived. By the end of 1960, some 70,000 young adults had sat in, mainly black but with increasing numbers of whites; 3,600 of them were jailed. Speedily but silently, the signs designating “Whites Only” came down in public accommodations and private institutions, which was intentionally accomplished without news conferences or announcements. By year’s end, in more than 100 southern cities, the distinct student sit-in campaigns against segregated lunch counters became the prows for local struggles, which often had localized priorities. A mass movement of tens of thousands would materialize as the sit-in campaigns provided the popular base and critical mass for the civil rights movement, more aptly described as a movement of movements.